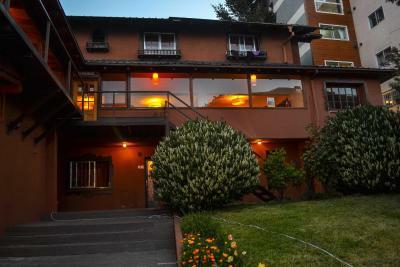 Lock in a great price for Hostel Inn Bariloche – rated 8.1 by recent guests! 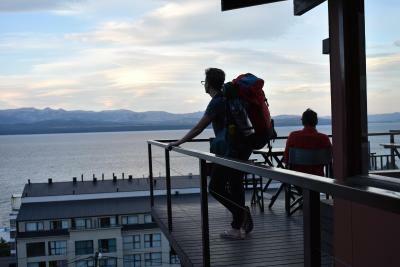 The view from the hostel is really amazing! 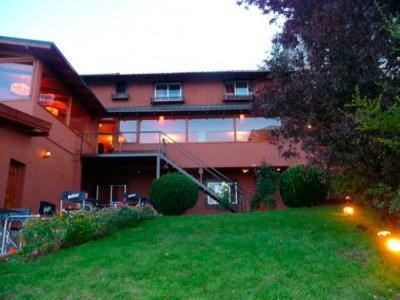 Moreover it is well located, just 5 minutes up from the center. The staff was nice and our room sparkling clean. The staf was very nice, good breakfast, well equipped kitchen. The other facilities (sorry from the locker) were good. Good wifi signal, nice kitchen, and clean overall. 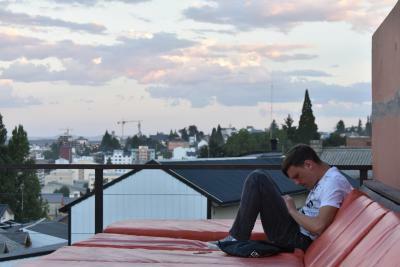 The view from common space was nice. Staffs were helpful. 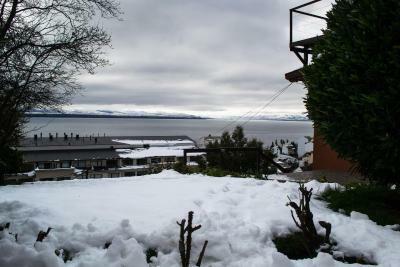 The best hostel in bariloche!! The stuff are very helpful and nice. 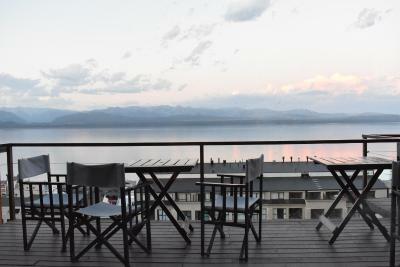 The view from the hostel is amazing!!! 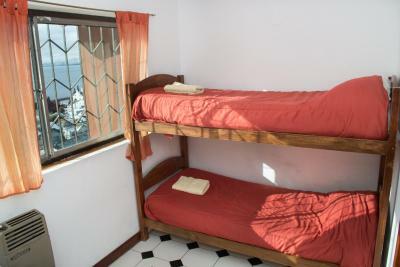 Good basic Hostel close to downtown. The day hostess was very good (Melanie) but I didn't care for the afternoon/early evening guy. Free basic breakfast. 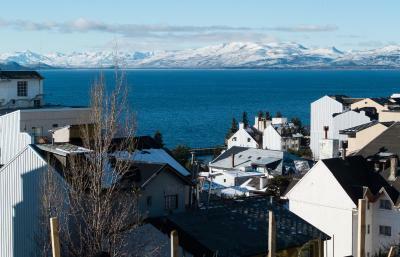 Beautiful view from the Hostel. Amazing view for the sun rise. Good vibe in the common room. 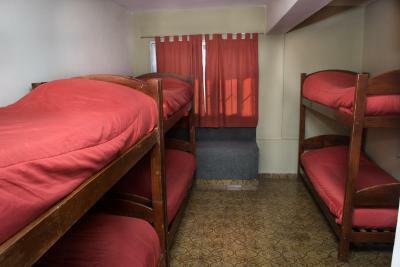 Decent size for 4-bed dorm. Facilities clean in general. Some staff are friendly and helpful. Will stay again. 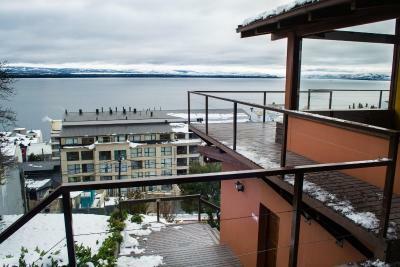 The view is obviously incredible! 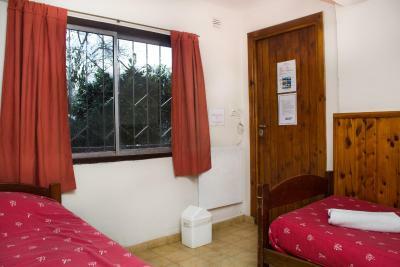 The room was nice and clean, it was a private room but they still provided lockers which we liked. Kitchen was well equipped. 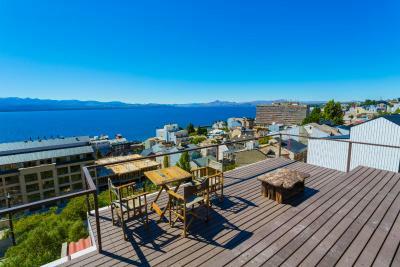 This friendly hostel is 1,000 feet from the main square of Bariloche, and offers wonderful views of the Nahuel Huapi lake. 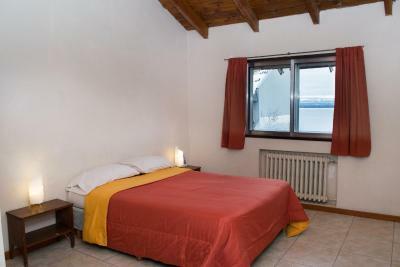 Breakfast is included in the rate and a communal kitchen is available. 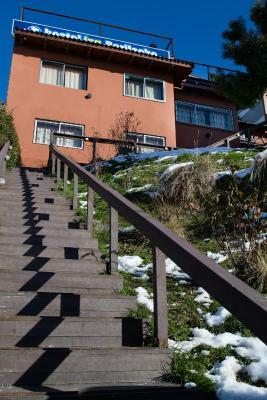 The Hostel Inn Bariloche provides private double rooms as well as beds in dormitories. 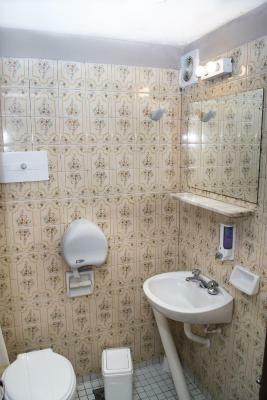 Bathrooms are located in the hallway. 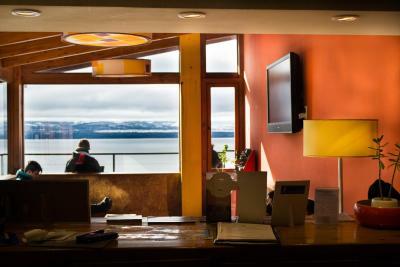 Guests can relax in the hostel's cozy lounge with bar, Wi-Fi, TV and DVD player. 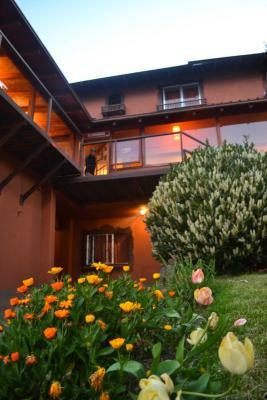 On warm days, guests can sit in the garden and read a good book or surf the net. 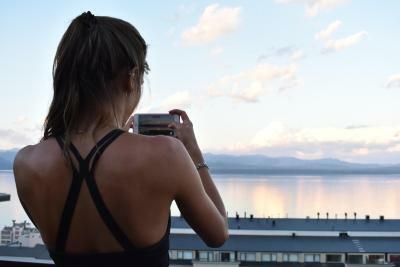 The staff of the Hostel Inn Bariloche will be happy to recommend local tours and organize activities such as rafting, kayaking, horse riding and trekking. 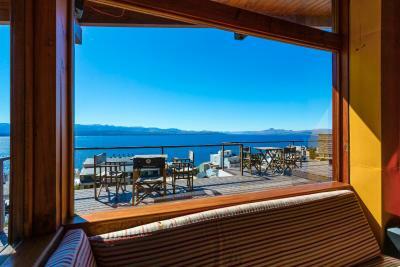 뀐 Located in the top-rated area in San Carlos de Bariloche, this property has an excellent location score of 8.6! 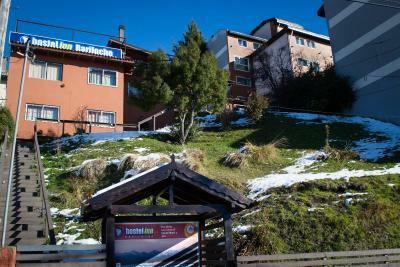 When would you like to stay at Hostel Inn Bariloche? 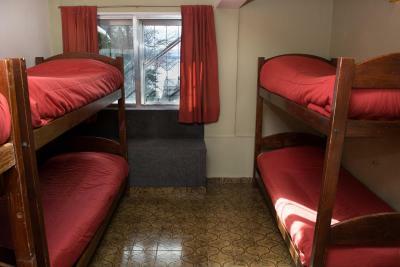 This room features private bathroom, bunk beds, and lockers. Linens are provided. Breakfast is included. 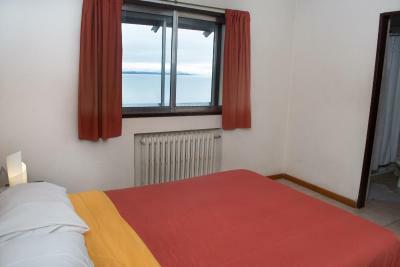 This room features a double bed, shared bathroom facilities, and a lake view. Cleaning service is provided. 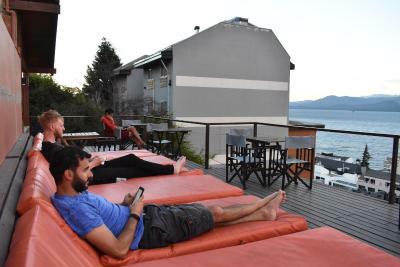 House Rules Hostel Inn Bariloche takes special requests – add in the next step! 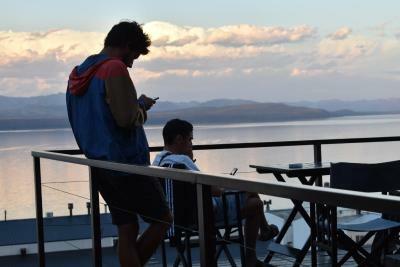 Hostel Inn Bariloche accepts these cards and reserves the right to temporarily hold an amount prior to arrival. Please note that a local Ecotax of 0.7 USD, per person, per day, is not included on the fee. 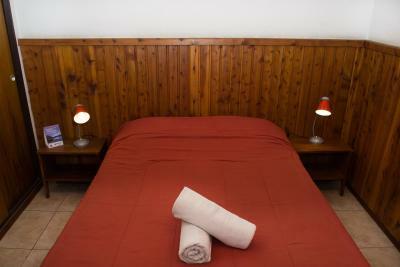 It applies to all guests older than 14 years old, and can only amount to the charge of a 3-night stay. 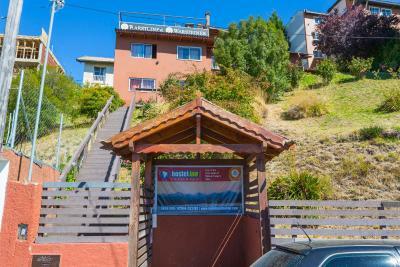 Please contact the property for further information. You have to fix your wifi to get it better. The staff weren’t particularly welcoming or helpful. On one occasion we were just directed by them to ask at tourist information instead. You could hear the buzzer to let people in the front gate going off at all hours and they always seemed to take forever to answer it. 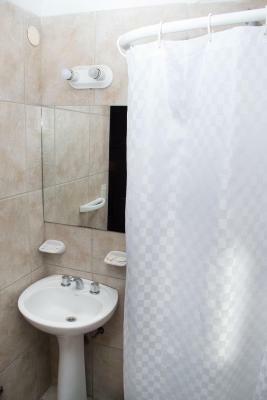 - breakfast is ok, not great - shower was hanging, old, very noise and thin walls - overall not great vibes - didn’t finish my Laundery the next day, where they promised me that. 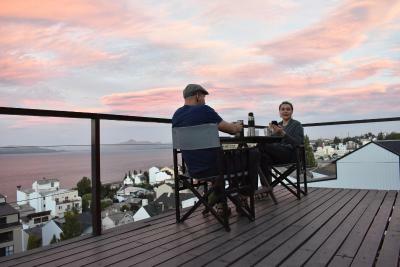 The view and friendly enviroment. 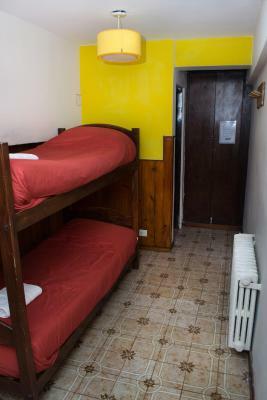 Beds are old, shrotty and noisy. 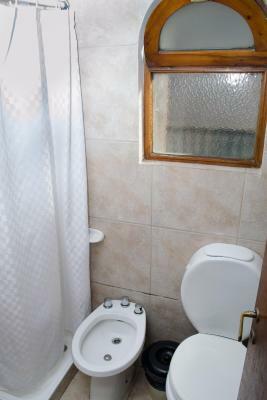 The ensuite bathroom for a 6 bed dorm not practical. Door and lockers were defect. 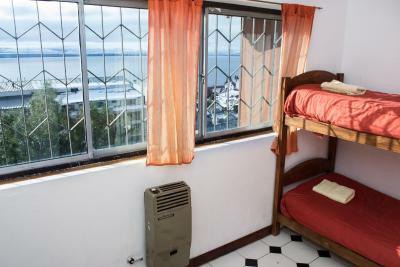 You need to pay 100 pesos deposit at check-in (maybe to make sure that no one steals the beds). In general, the room and kitchen weren't quite clean. 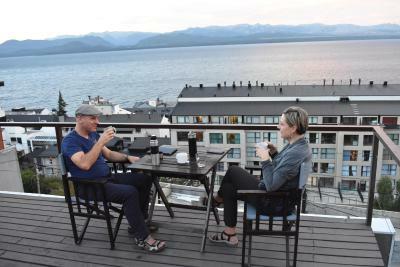 Terrasse with really nice view. Breakfast in form of a buffet. 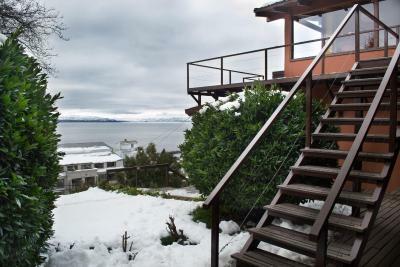 Location in Bariloche, everything is reachable by foot. The room key was a little cumbersome to use. 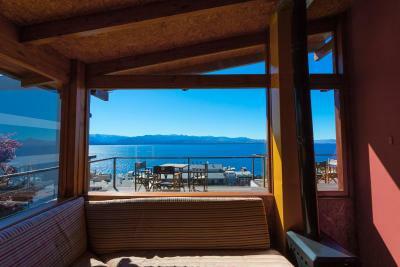 Really nice sundeck and lounging area. The stuff was unbelievable. 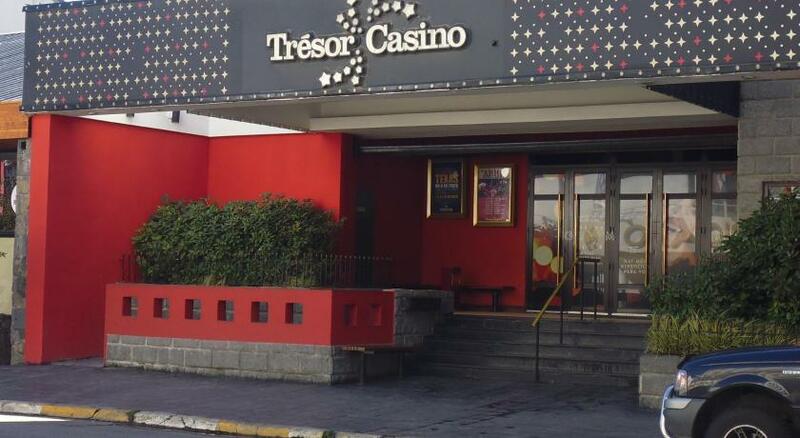 They had no idea of what they are doing at the reception and the couldn’t give you any information about ANYTHING especially about excursions even if the reception desk was full of them. 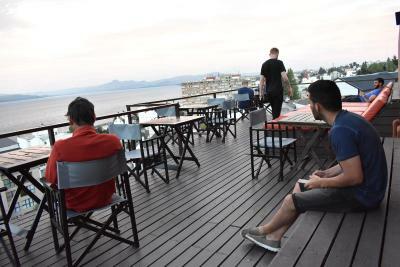 all in all a nice hostel, nice chillout area where i could get some work done, amazing terrace, breakfast was normal like in most other places. Very noisy toilet to work need the lid to be removed and flash the water. The breakfast was very basic, the wifi didn't work well and the kitchen was small for so many people.